With thanks to Joan Tindale of Cowling for providing the scan. 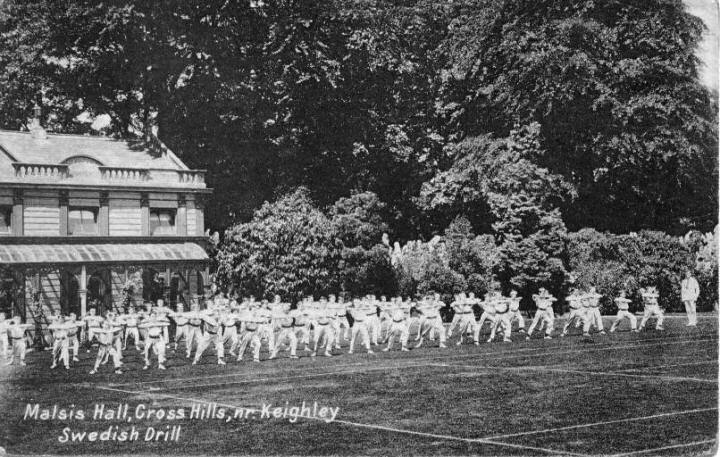 "Swedish Drill" being practised at Malsis Hall. The year is unknown, but according to the history of the school at www.malsis.com, the tennis coursts were laid out in 1935.